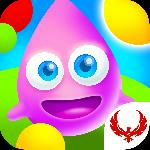 Bubble Chronicles DE Collect Free Items, Daily Cheats, Rewards, Gifts. Greetings friends! Happy Friday with awesome Bubble Chronicles Diamond Edition! Invite your friends, play, have fun and be happy with Happy Friday and Bubble Chronicles Diamond Edition Link "SHARE" happiness with your friends! Another day with magnificent time adventures of Bubble Chronicles diamond Edition! Travel through time, beat high scores and have together with your friends Link "Share" emotions of past levels with friends! Diamond Friday together with friends and Bubble Chronicles Diamond Edition! Get ready for the weekend and have fun Link Hit "LIKE" & "SHARE" to congratulate everyone with upcoming weekend! This Website is not affiliated With Bubble Chronicles DE. Trademarks are the property of their respective owners. Game Content and Materials Copyright Bubble Chronicles DE. All right reserved.